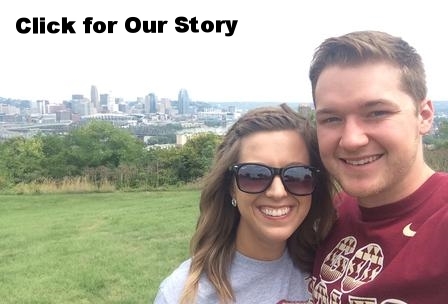 Join us this Sunday, Feb. 7, 2016 @ 9:30am as we welcome Terry Lee and Abby Kirkland, NAMB Church Planters in Cincinnati. We felt the Lord leading us to church plant during our time at Seminary. We both served as summer missionaries in Chicago for the North American Mission Board in the summer of 2013. After prayerfully visiting several strategic cities chosen by the North American Mission Board, we felt the Lord calling us to Cincinnati. God has given us a vision to see this city renewed by the hope of Jesus that begins in neighborhoods and reaches to the nations. Our desire is to see lives transformed by the gospel in the context of personal relationships to our church community and ultimately to Jesus Christ.